We strive to maintain our properties in good repair inside and out to provide maximum income and minimum vacancy. Real estate professionals, investors and displaced homeowners throughout our market area and beyond call on us for rental housing and Fayetteville property management services. 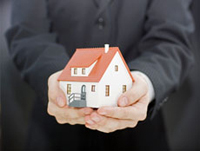 We offer a wide range of Fayetteville property management services to fit your needs as a Landlord or home owner. We tailor our services to ensure that you have the highest level of service for your home. Our Fayetteville property managers treat your home as our own. We stay aware of changing market conditions in order to provide sound advice regarding pricing and competition. Vacancy is an expense to be avoided! Our goal is to remove the burden of real estate management, helping the Investor maximize wealth through real estate investment. Tenant Qualification - Our Guidelines for Approval include 80% favorable credit and proof of income equal to at least 3 times the rent amount. Management Agreement - The Landlord authorizes the terms and conditions of the Lease in the Management Agreement. TRI-CITY REALTY SERVICES signs a Lease Agreement with the Tenant. Lease Enforcement - The terms of our Leases are non-negotiable. By adhering to Standard Operating Procedures, we protect Landlords and ourselves from the unknown. Our risk reduction procedures promote fairness and non-discrimination. Move-in Inspections - As required by law, we conduct a detailed inspection and note the condition of the house in writing and with photographs. The tenant acknowledges the condition at the time we give them possession. We conduct a final inspection after the tenant moves and assess the cost of damages (if any) caused by the tenant. Rent Collection - Rents are due on the 1st of every month. If rent is paid after the 1st, a late fee is assessed and legal notice of demand for rent is sent to the tenant. If the rent hasn't been paid on the 15th, we can file a dispossessory action in Magistrate Court. Maintenance - Through good relationships with maintenance contractors, we enjoy prompt service, good prices, and trust. If we get a maintenance request and determine that it is the Landlord's responsibility, we respond quickly. We strive to maintain our properties in good repair inside and out to provide maximum income and minimum vacancy. Real estate professionals, investors and displaced homeowners throughout our market area and beyond call on us for rental housing and Fayetteville property management services. responsibility, we respond quickly. It's important to maintain your property as well as keep the tenant happy. Turnover - We evaluate the property and recommend improvements and updates that will keep the house competitive in the market. Market Analysis - At any time, we will review the market value of the house and advise the Landlord regarding selling vs. leasing. We can evaluate the costs of selling as well as capital gains taxes that might be triggered upon sale. Fayette and Coweta County are located about 20 miles south of Atlanta’s Hartsfield International Airport. Residents enjoy beautiful neighborhoods convenient to schools, shopping and restaurants along with plenty of golf courses and other recreation. A visit to Atlanta and all the city has to offer is an easy 45 minute drive. Fayetteville is home to the fabulous Pinewood Atlanta Studios which encompasses over 300 acres and 18 soundstages - making it the largest studio in the country. Georgia is third in movie production in the country. Piedmont Hospital has an outstanding hospital in Fayetteville and another in Newnan. Healthcare resources are abundant throughout the areas including the nationally known Cancer Treatment Center of America which is located in Newnan. There are many entertainment venues including community theater and 2 amphitheaters, as well as several movie theaters. 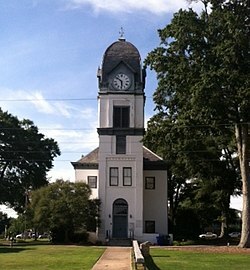 Senoia, in southern Coweta county, has been home to the filming of The Walking Dead and several movies over the past decade. This vibrant region is a great place to live, work and play!